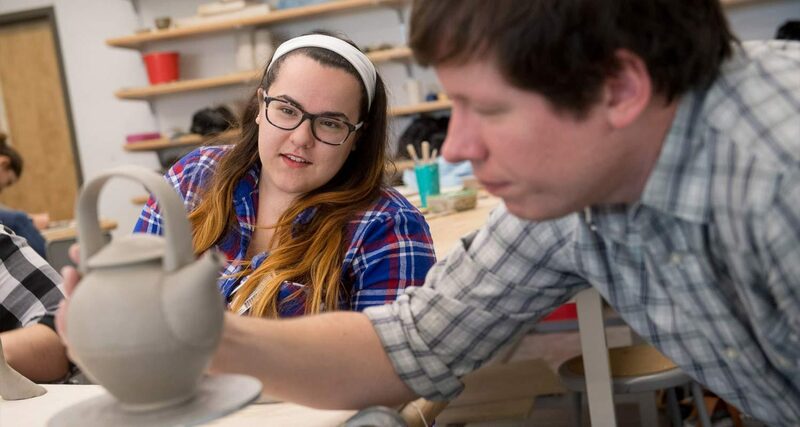 UMHB Art students are challenged to develop an aesthetic and creative intelligence through practicing a visual arts discipline. Experiential learning happens here in a studio setting under the guidance and mentorship of professional artists and designers in a broad range of media and professional approaches. There is a special atmosphere of encouragement and joy for the creative process in the Art Department. Students are expected to develop the highest levels of individual artistic performance possible. Each person involved grows toward a broader cultural understanding and aesthetic appreciation, which enriches both the university community and beyond. All of the art faculty at UMHB possess the Master of Fine Arts terminal degree, and one faculty member has a PhD in Art History. There are several adjunct instructors who are also outstanding professionals. The University of Mary Hardin-Baylor Art Department majors and programs are accredited through the National Schools of Art and Design. NASAD is the premier accrediting body for art schools and colleges in the United States. More information is available at nasad.arts-accredit.org.